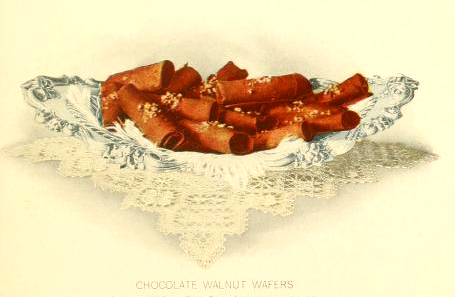 A bowl full of chocolate wafers. Curated from Lowney’s cookbook. originally archived by Library of congress and archive.org. Published in 1908.